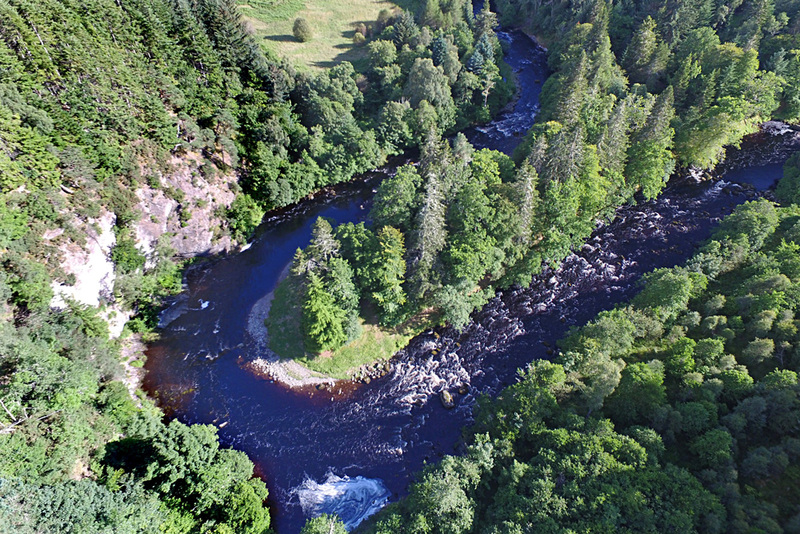 The River Alness (also known as the Averon) is one of the most picturesque salmon rivers in the Highlands, running for just 11 miles from Loch Morie into the Cromarty Firth, with a drop of 600ft. 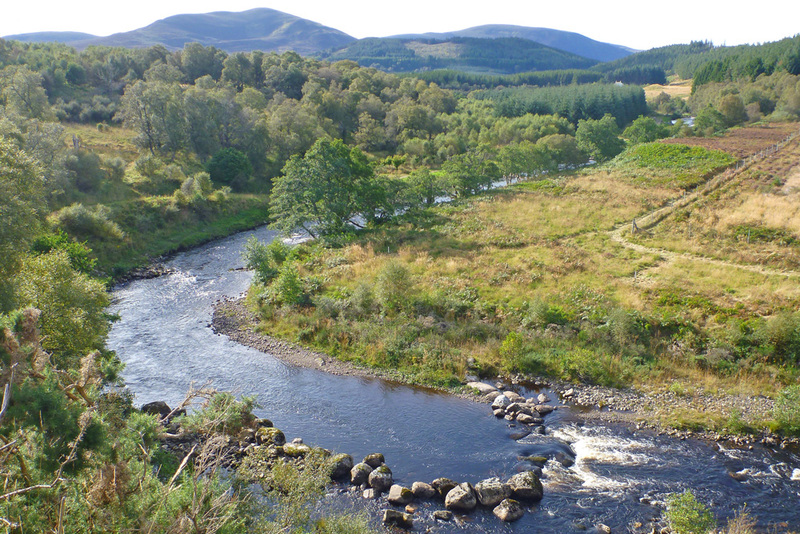 The steep descent provides for a multitude of fast flowing pools, and stunning and varied scenery throughout the beats. 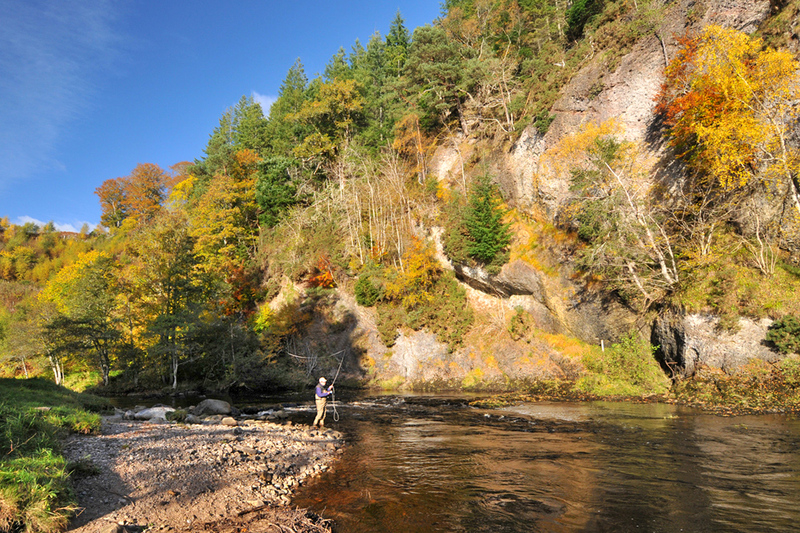 The salmon fishing on the River Alness is owned or controlled by several parties, though Novar Estate own the majority, which is split into 2 different stretches of water. 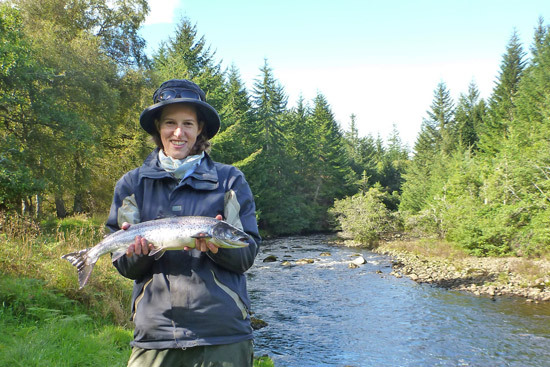 The Novar Fishings comprises 6½ miles of double-banked salmon fishing, split into 6 rotating beats which are all fished during a week’s fishing, though shorter lets are also available. 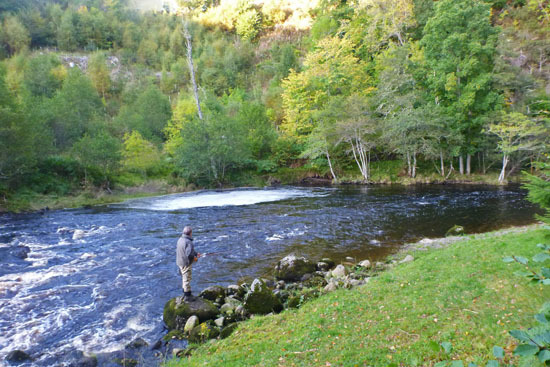 The River Alness typically produces rod catches of 400-500 salmon & grilse per year of which about two thirds are caught on the Novar waters. 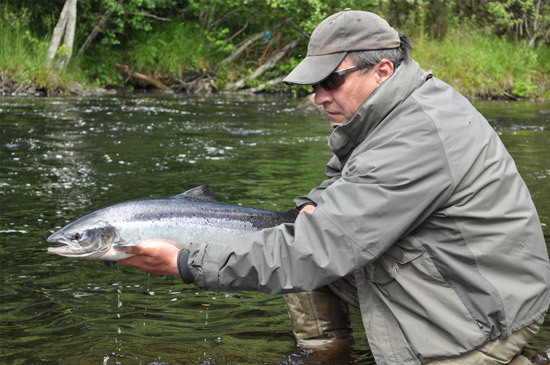 The Alness is a hunter’s river; ‘rivercraft’ and persistence are generally rewarded, and long casting rarely needed. 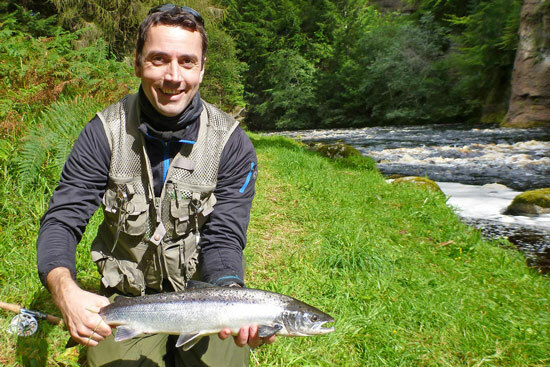 Beginners can do particularly well here, and the Alness is renowned for producing ‘first salmon’. 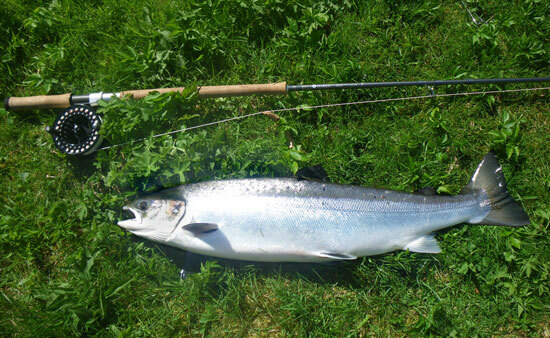 The Novar Fishings comprise 6 rotating beats, allowing rods to fish a different beat each day of the week. 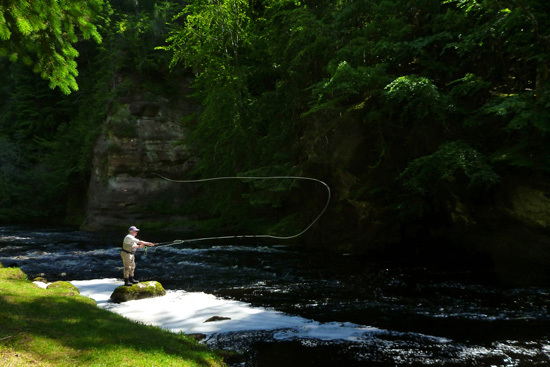 The average length of each beat is 1.1 miles, with typically 15 to 20 named pools per beat allowing for 4 rods. 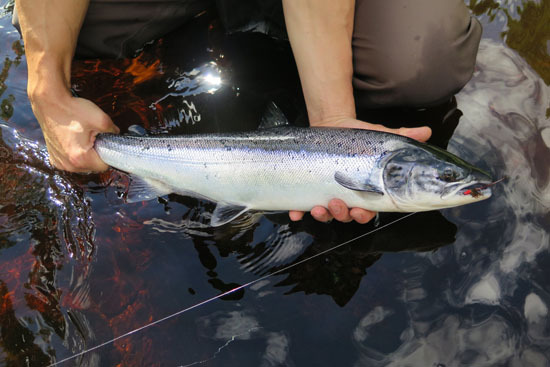 TroutQuest has exclusive access to the Novar Fishings and its own rotating beat, so we can offer our guests guided fishing here throughout the season. 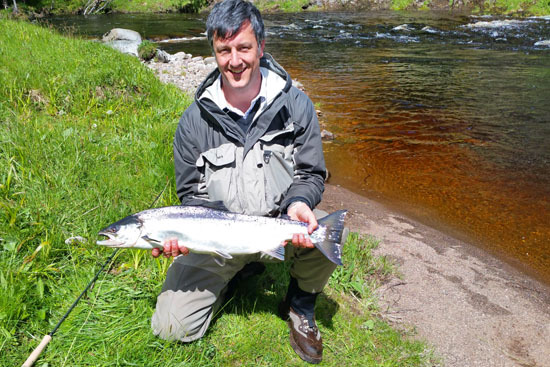 For larger groups we also have preferential access to additional beats. 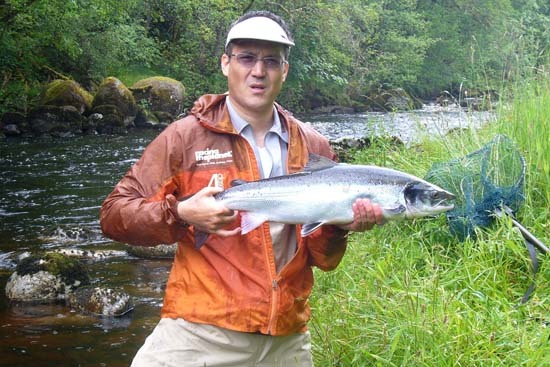 For detailed information regarding the Novar Fishings including catch returns, beat descriptions and maps, regulations, photos etc., please visit the Novar Fishings website on AlnessFishing.com.